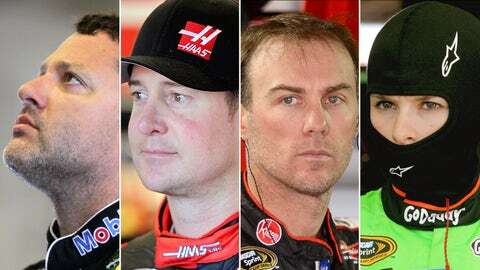 (from the left) Tony Stewart, Kurt Busch, Kevin Harvick and Danica Patrick will compete as teammates in 2014. I know a lot of fans are asking if Tony Stewart is going to be able to get back in a race car and also, once he does, if he will have a legitimate chance at his fourth NASCAR Sprint Cup championship. While I feel comfortable in saying Tony will definitely be back behind the wheel, honestly, I think the jury is still out on whether he is ready or Stewart-Haas Racing is ready to win another championship as a whole. We know they added the third team last year with Danica Patrick. However, none of the three cars were real contenders for the championship, especially with Tony being hurt and out for the season roughly three-quarters of the way through last year. To be honest, neither Tony nor Ryan Newman showed championship form in 2012, which ironically was the year after Tony won it all in 2011. So, I actually think in the bigger picture it is whether Stewart-Haas Racing is ready to contend for a championship, more so than whether Tony Stewart is ready. The reality is Tony won’t know for certain how he really is until he climbs back behind the wheel of the No. 14 and goes racing. That answer is just around the corner. We’ll know in about a month. I would wager to say Tony is probably closer to being ready to winning a championship than Stewart-Haas is. 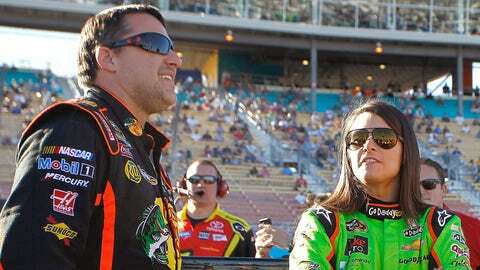 Let’s face it — and you’ve heard it discussed to death — the only driver/crew chief combo intact from 2013 over there is Danica and Tony Gibson. Tony Stewart has a new crew chief. Kevin Harvick has replaced Ryan Newman, and he has a new crew chief. Kurt Busch has been added as a fourth driver and he, too, has a new crew chief. All the moving parts and pieces over there are going to take some time to settle. We all know that in our sport it is all about the people. Rick Hendrick is the gold standard as an example of how if you structure your organization correctly with the right people, well, spectacular things can happen. He’s shown our sport how a four-team operation can be successful. I have always used the analogy that race teams are like kids. Two is like two while three feels like 10 kids. Trust me, four teams feel like 20 kids. The bigger you get, the harder it is to keep everyone pointed in a single direction at a single goal. It just stands to reason. It is more people. It is more headaches. It is more egos. It’s just simply more everything. 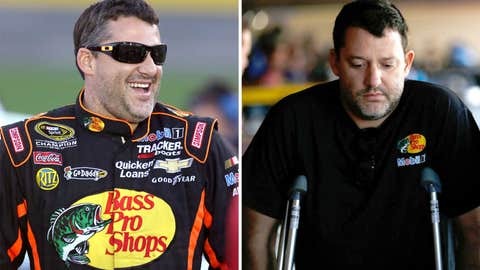 Which Tony Stewart will show up at Daytona? With all that said, if Stewart-Haas Racing does this right, they have the driver lineup and personnel lineup to be very successful. The key is keeping all the egos from getting in the way. Those drivers at Hendrick Motorsports have egos. Are you kidding me? They wouldn’t be doing what they are doing if they didn’t have egos. At the same time, they all recognize the greater good. Mr. Hendrick has structured that organization where everyone has the same ultimate goal of making Hendrick Motorsports, as a whole, to be successful. So for Stewart-Haas Racing, it is a lot like what I mentioned earlier about Tony. They aren’t going to know how everything is going to fall into place and how everything is going to play out until we get cars back on the track with a few races under their belt. Danica Patrick returns in 2014 for her second full season at Stewart-Haas Racing. Tony and his folks will be the first to tell you flat out that while they didn’t underestimate the challenge of starting a third team last year with a very raw rookie driver, they did underestimate starting another team while developing a brand new Gen-6 car. That’s where they got caught behind. So, not having to develop a new car for this season, plus adding two veteran winning drivers to the stable, might prove an easier climb for Stewart-Haas Racing in 2014 than 2013 was.